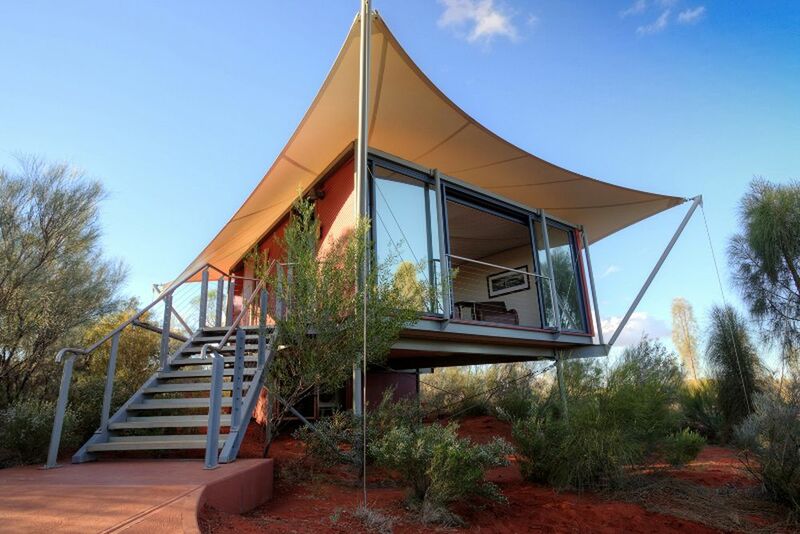 The Longitude 131 - spectacular location at the foot of Uluru. 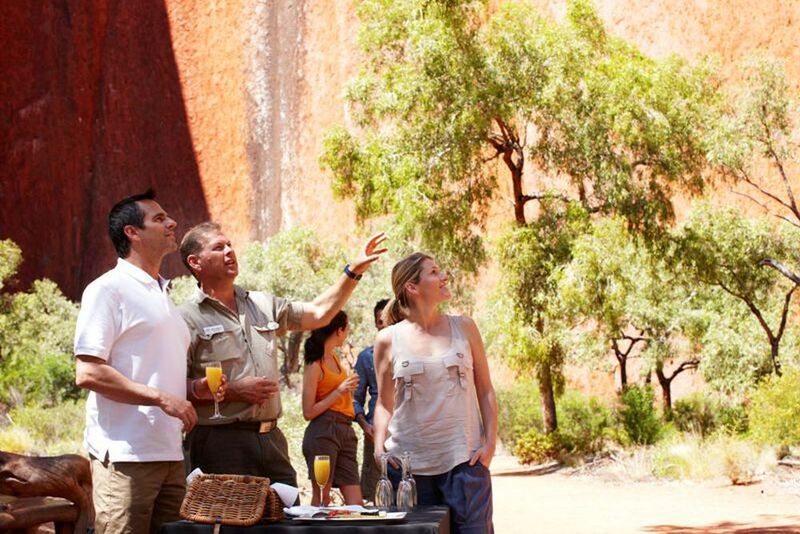 Longitude 131 stands for the highest quality in the wild of Uluru-Kata Tjuta National Park. The Olgas can be found nearby. Join the adventure in the midst of "nothingness". 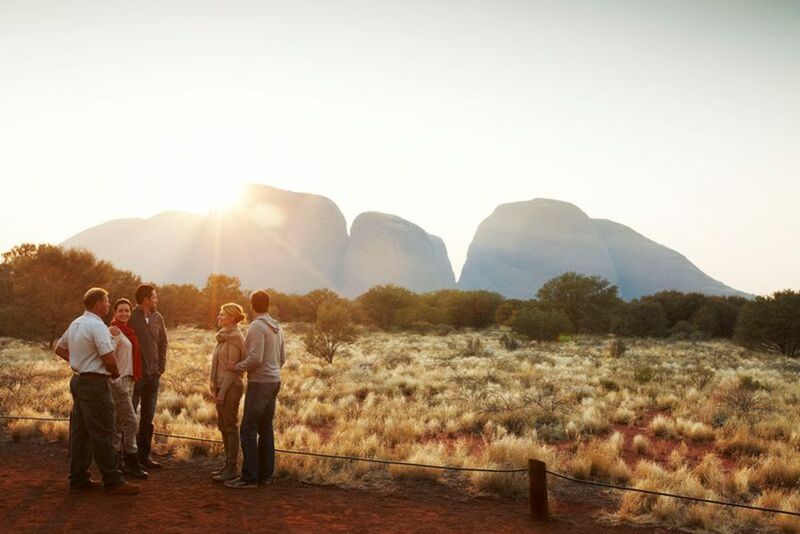 Let yourself be captivated by the fascinating Outback. The hotel offers guided hikes in the exciting surroundings. The longitude is exactly on the 131º longitude. You can let your mind wander over the dazzling surroundings. The resort consists of 15 Luxury Tent Suites. The rooms are individually decorated, each one telling the story of another Australian adventurer. From your private balcony you can enjoy this unique view of the Uluru. The luxurious bathroom leaves nothing to be desired. The Dune House is centrally located and offers a modern restaurant. A romantic atmosphere awaits you at sunset. 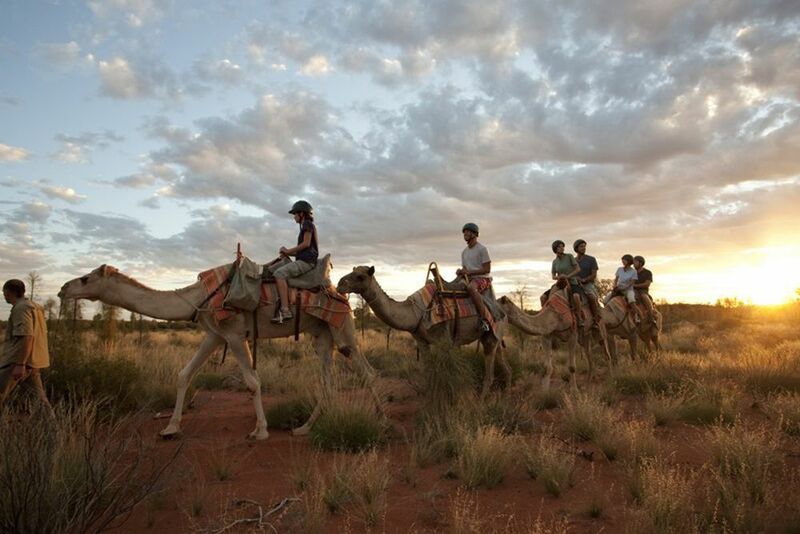 You can take a camel ride at Uluru. Experienced guides will introduce you to the flora and fauna of the area. At Table 131, dine under the Australian starry sky. 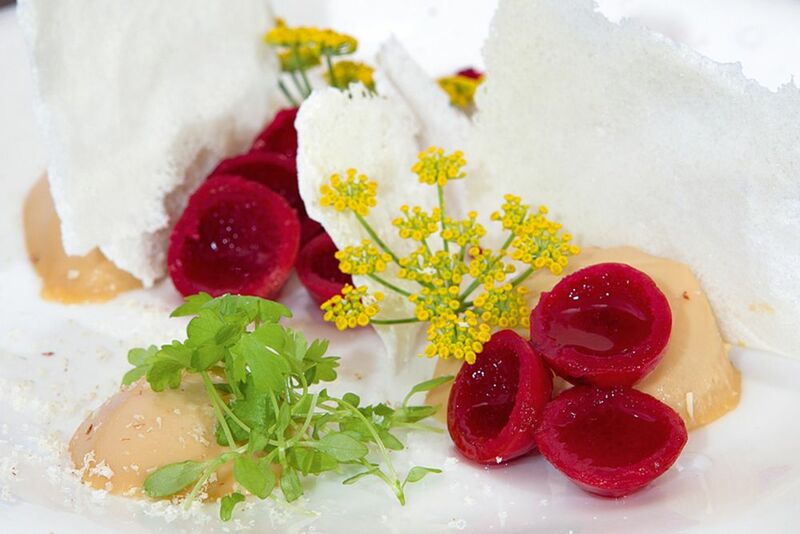 The exquisite food is one of the highlights of your stay. The Longitude 131º is one of our favorites and we highly recommend it. 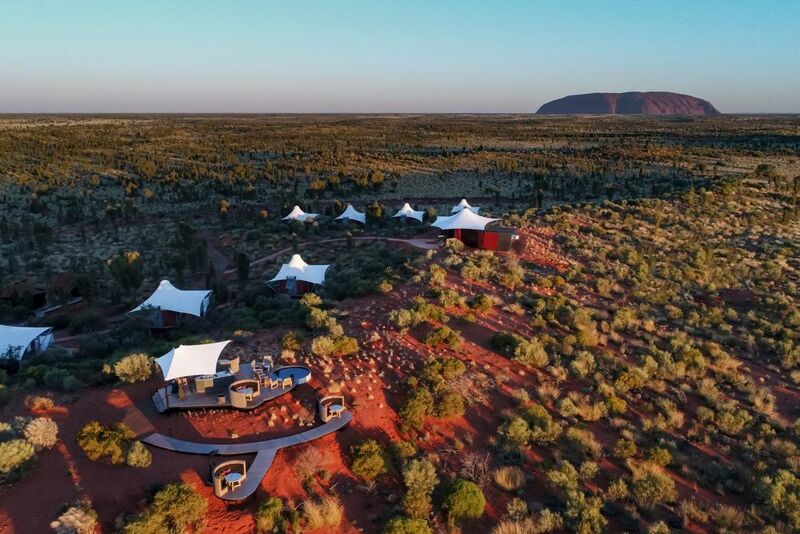 Surround yourself with the spirited heart of Australia at Longitude 131°, a transcendent experience of discovery facing the majestic Uluru. 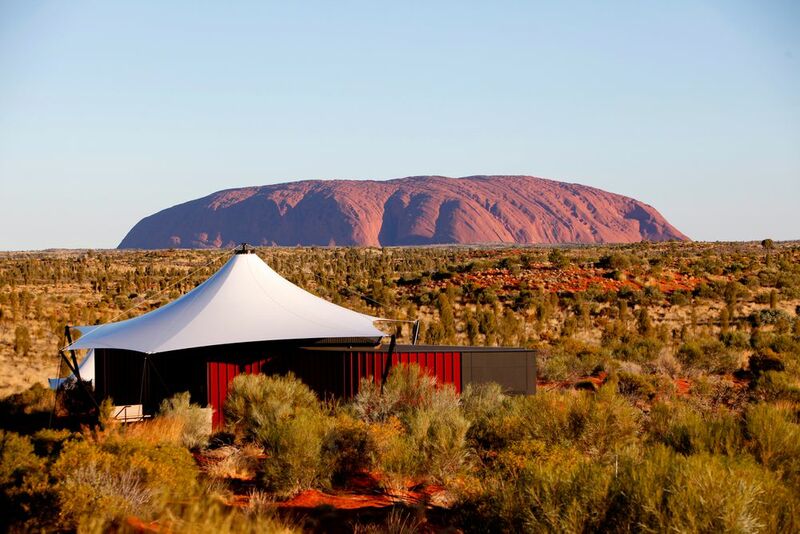 The environmentally friendly, luxurious camping houses are a unique experience that put you up close and personal with Australia’s outback. 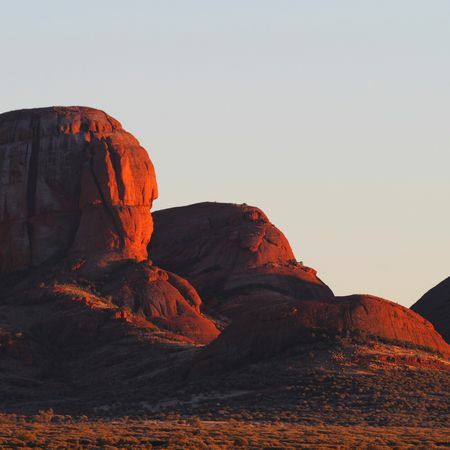 Renowned as the spiritual heart of Australia, the Red Center in the Northern Territory is rich in Aboriginal culture and rugged outback beauty. 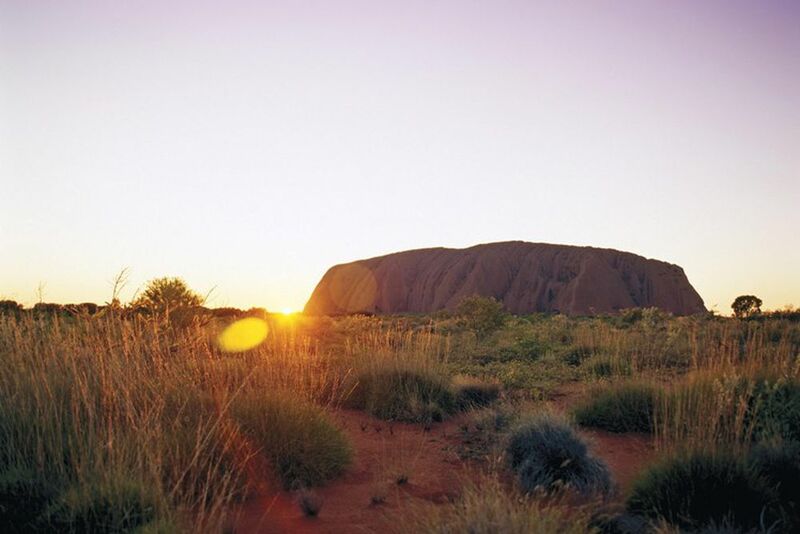 Uluru National Park is a living cultural landscape and Australia’s most recognizable natural icon. Amidst the spectacular surroundings, Longitude 131° is nestled amongst the enchanting beauty of nature. Experience the foundation of the region’s culture and learn some of the ancient creation stories of the traditional custodians. Take a sensory journey through the rolling red sand dunes alive with verdant native vegetation and myriad wildlife, discover the stunning flora and fauna, and come face to face with irresistible land. Longitude 131° is about a 4.5-hour drive to Ayers Spring and the Ayers Rock Airport. 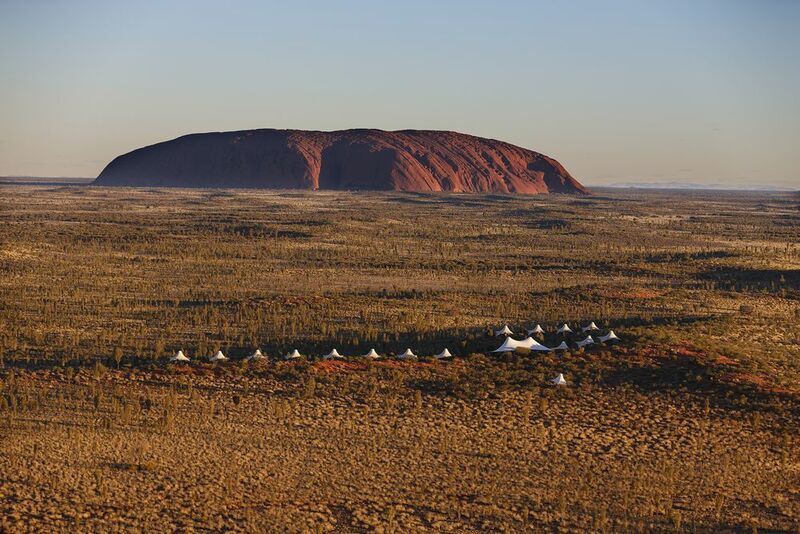 The luxurious tents of the unique campsite are nestled atop rust-red dunes and overlook Australia’s best-known natural icon, Uluru. 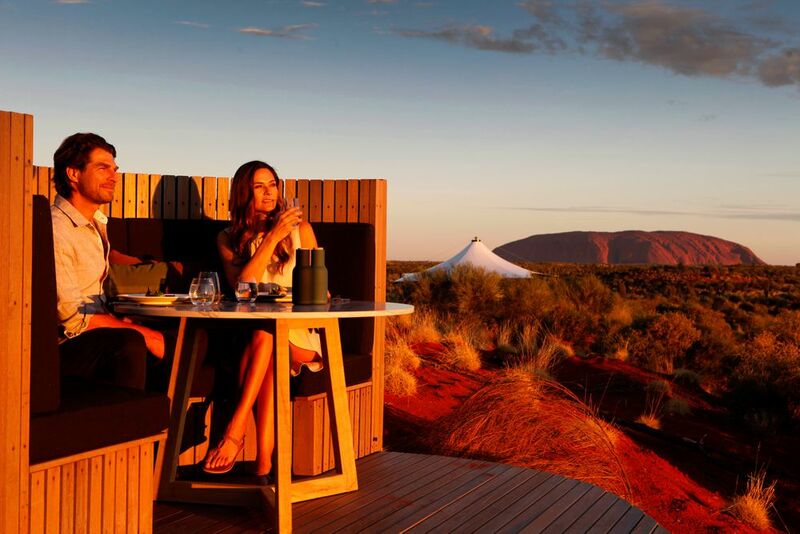 The welcome open spaces of the central Dune House include the luxury lodge’s restaurant, bar and library, complemented by breathtaking views of the outback as a backdrop for every meal, cocktail and book. 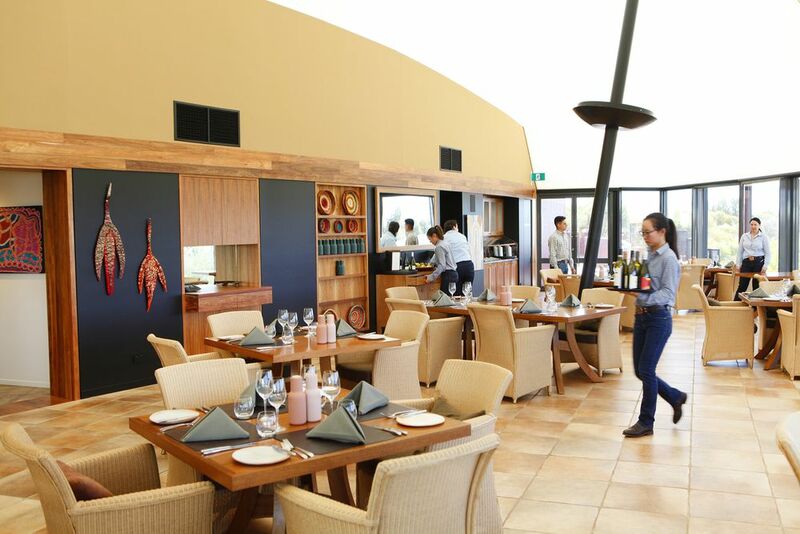 Longitude 131° offers contemporary Australian cuisine and a fusion of modern and indigenous flavors at the Dune House. 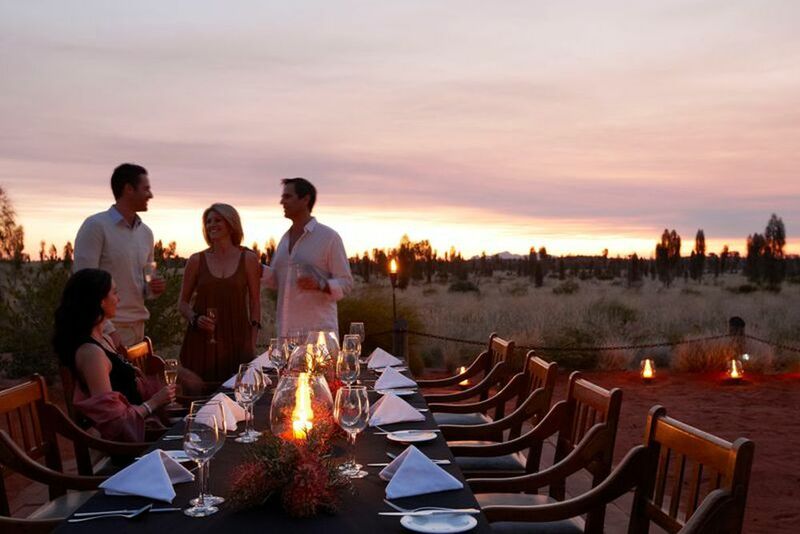 After a day of discovery, Table 131° is the perfect way to wind down under the wonders of the night sky. Feast on four delicious courses that combine traditional and modern elements, along with the finest Australian wines. 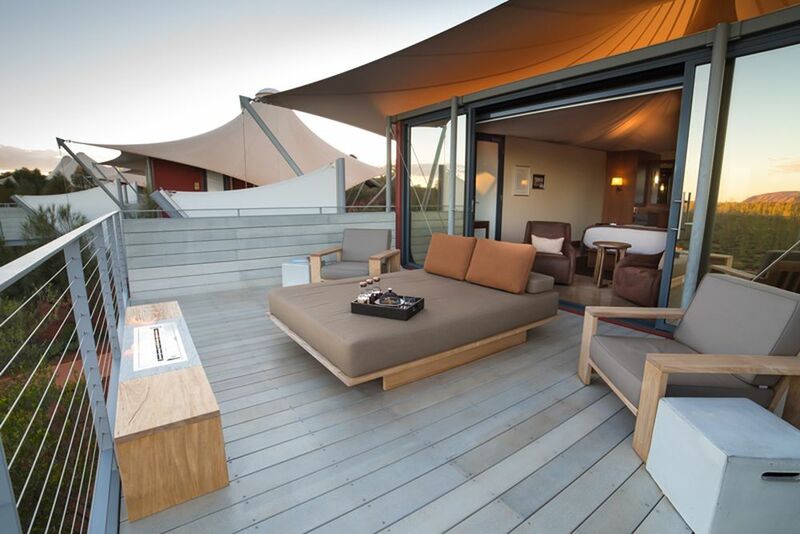 The 15 luxury tent suites are elevated atop the rust-red dunes and are perfectly integrated with the pristine natural environment to provide a private place to rest, relax and refresh. 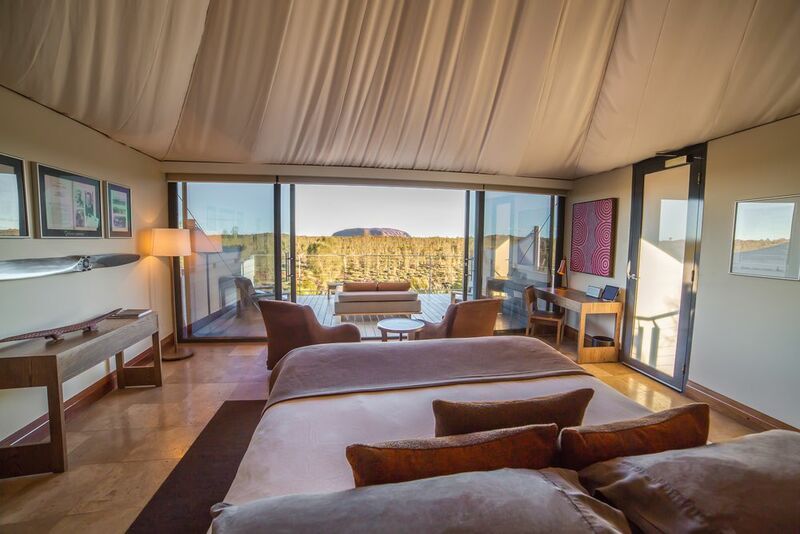 The canopied pavilions boast unparalleled views of the Uluru through the floor-to-ceiling windows at the end of the king-size bed and open onto an expansive balcony with a day bed, armchairs and fireplace. All the suites are individually decorated and tell different stories of an Australian adventurer. 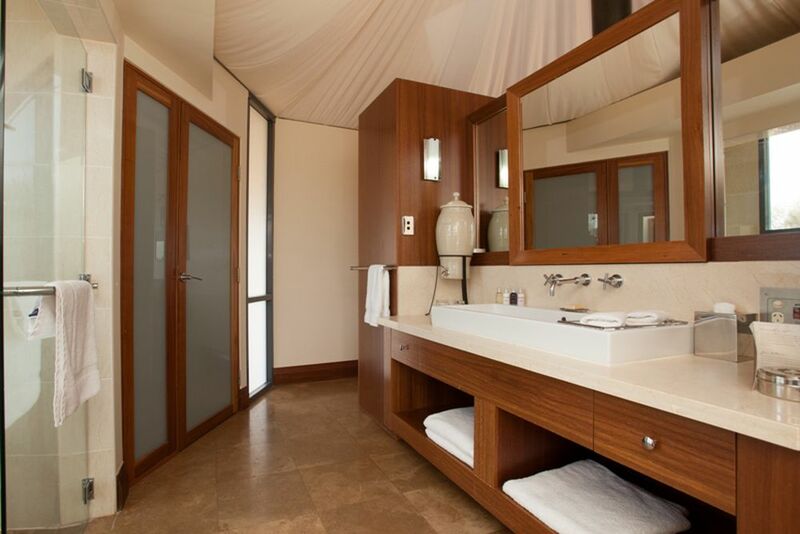 The in-suite bathroom offers a relaxing rain shower, gourmet bath products, and bathrobes. Tent amenities include air conditioning, minibar, tea/coffee making facilities, telephone, an iPad with entertainment, music system, and wireless internet to complete the ultimate ‘glamping’ experience. 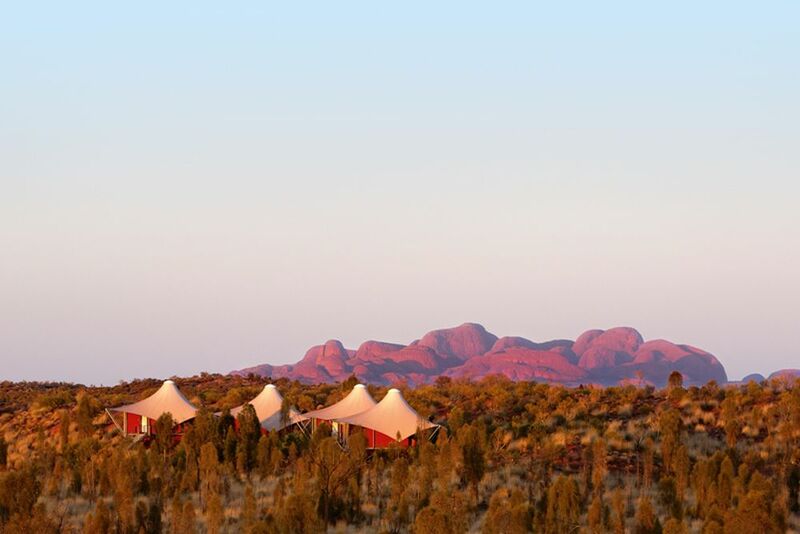 Indulge, relax and immerse yourself in the timeless landscape whilst visiting the serene Red Ochre Spa. 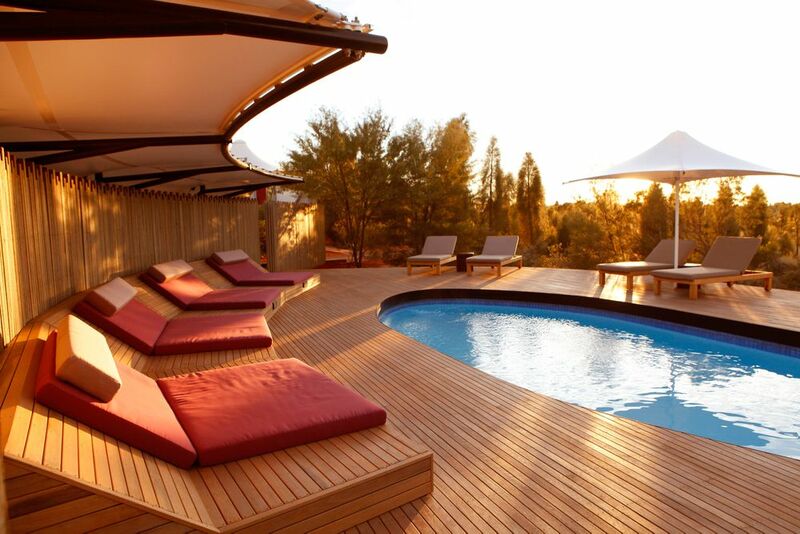 Located at the nearby Ayers Rock Resort, guests choose between an array of unique massages, facials and treatments that will re-awaken their senses. Longitude 131° provides return transfer to and from the Spa. 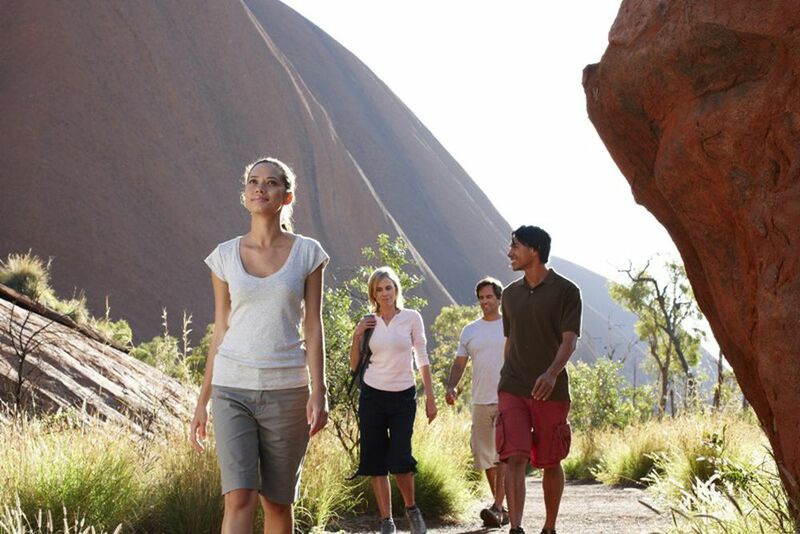 Longitude 131° offers unique tours throughout Uluru, Olgas and Kata Tjuta Park. 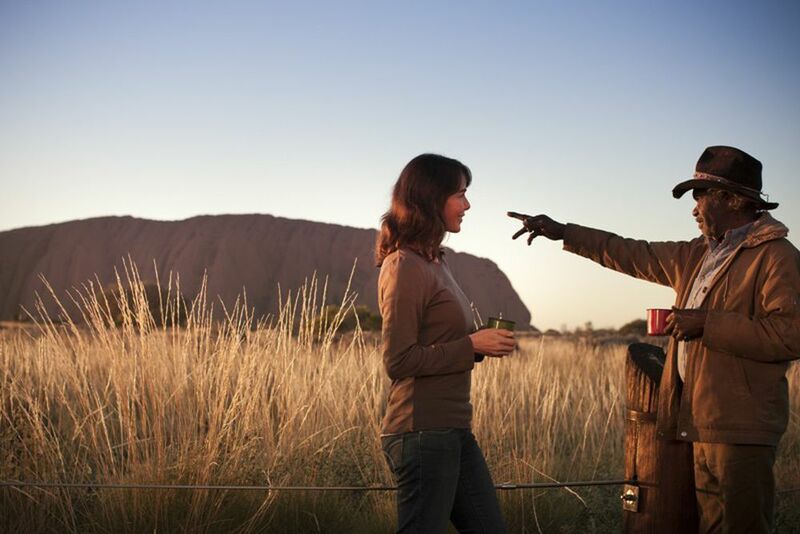 Experienced guides will take you on exciting excursions and experiences amongst the unique wildlife of the outback. In addition, you can book a camel ride, exciting helicopter adventures, or Harley excursions. For Christmas and New Year bookings (19.12.-06.01. ), A non-refundable 1 night deposit is required within 14 days. Personal expenses, such as gratuities, etc.